It stands on the border of the territories administered by Svätý Kríž and Lazisko. The ground plan of the church is in the shape of a 43 metre-long cross. The church takes almost 6,000 persons. The wooden Baroque furniture together with the remarkable wooden Baroque altar from 1693 with the painting of Christ's Transformation were designed to inspire awe. Also the pulpit standing on log foundations supported, as if by a Baroque angel is unique both in terms of visual impression and acoustics. 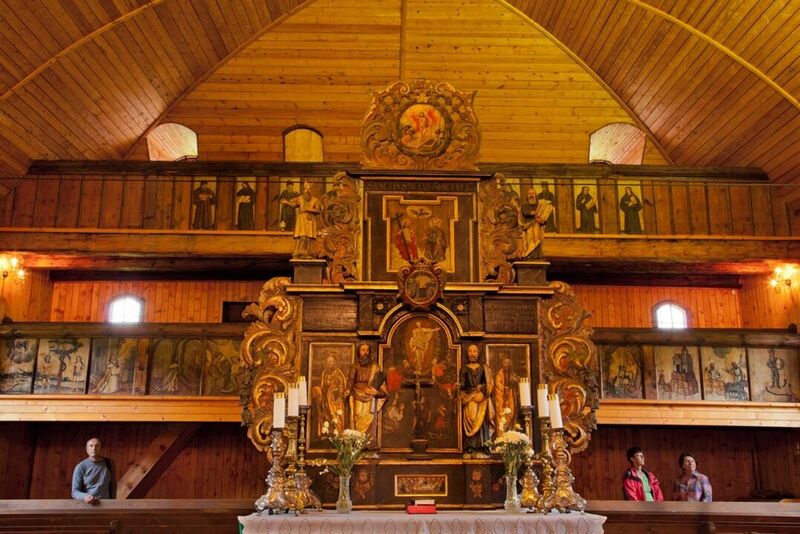 The altar and the pulpit were made by the woodcarver J. Lerch of Kežmarok. The two-storied choir emporia in the interior of the church are adorned by Biblical paintings and along with a big chandelier of Venetian glass they create a charming atmosphere. 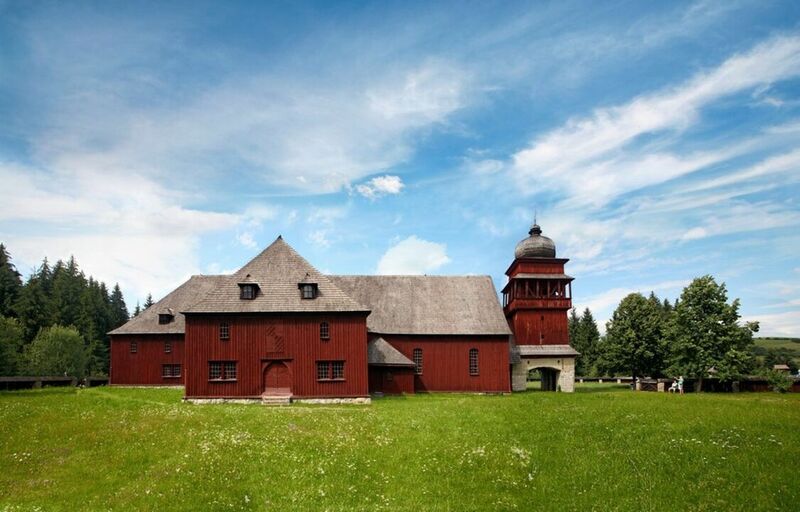 Part of the church is also an independently standing wooden tower serving as a belfry. It was added to the church later. At the edge of the Pavcina Lehota village in the Demanovska valley, Apartmány Nízke Tatry enjoys countryside surroundings 600 m from ski slope of Ziarce Pavcina Lehota and 6 km from ski centre Jasna Demanovska Dolina. Located 6 km from Liptovsky Mikulas, Apartman Centrum offers a terrace with barbecue facilities and a garden with a children’s playground. Free Wi-Fi is provided in the entire building and free private parking is possible on site.